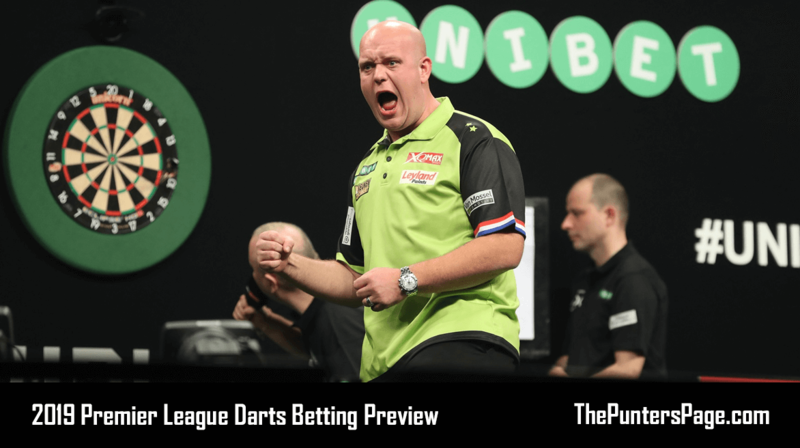 Darts expert Tom Beresford (@Tomsportsjourno) previews night 2 of the 2019 Unibet Premier League Darts and provides us with his best bets at the SSE Hydro in Glasgow. 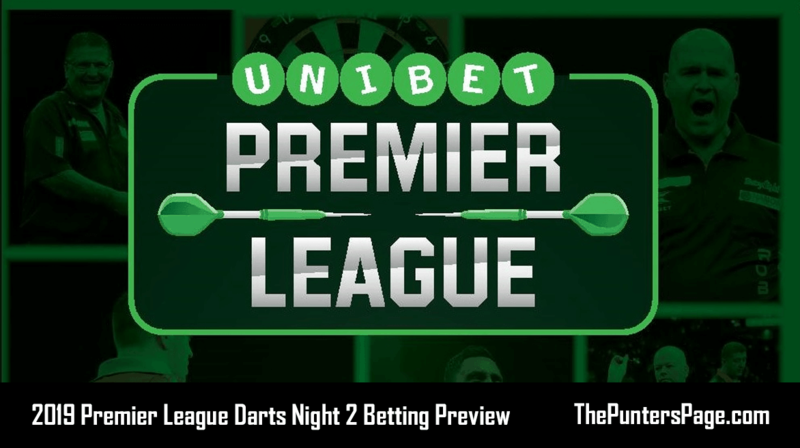 Ahead of night two in the 2019 Unibet Premier League over in Glasgow, there are some great matches in prospect, with several top players looking to get their first points on the board. As ‘Snakebite’ and ‘Bully Boy’ lock horns in Glasgow on Thursday evening, Michael Smith will be looking to get his first points on the board following a narrow defeat to World no.1 Michael van Gerwen last week in Newcastle. Smith hasn’t managed to get the better of the World no.3 since last year’s Premier League as the St Helens ace recorded back-to-back wins over Wright. But, since then, Wright has got the better of ‘Bully Boy’ in their last three meetings, with the most recent victory coming this past weekend at PDC Players Championship one in Wigan in a narrow 6-5 win for ‘Snakebite’. On current form, Michael Smith is certainly playing the better darts, and the bookmakers have Smith as the 11/10 favourite. I’d definitely start off the night with a punt on Smith. Another punt involving Smith courtesy of Sky Bet is for Smith to win the match, hit 3+ 180’s and to hit a checkout over 82+ which is available at 11/4. In terms of a punt for this particular clash as the fiery Welshman Gerwyn Price takes on five-time World Champion Raymond van Barneveld in his final year, I think that a Gerwyn Price victory is most definitely on the cards. Price made a blistering return to form as ‘The Iceman’averaged 104.11 in a 7-4 victory over Daryl Gurney in Newcastle on the opening night. As for Raymond van Barneveld, the Dutchman fluffed his lines in the early phases of his 7-4 defeat to James Wade. Van Barneveld could’ve opened up a 4-0 lead, but he really let Wade into the contest. Following that, Van Barneveld was eliminated in the first and second round respectively in the two PDC Players Championship events in Wigan over the weekend with defeats to Ryan Searle and Steve West. Evens is a great price for a Gerwyn Price victory, but I expect it to be a closely contested battle. Another interesting bet to have on this one could be in the over 11.5 legs market which is available at 11/10. Well, this one could easily be the match of the evening. The three-time World Champion Glen Durrant makes his Premier League debut, and his first match on the big stage as a PDC professional. The Teesside ace takes on ‘Superchin’ Daryl Gurney, who’ll be on the hunt to strike back following his 7-4 defeat to Gerwyn Price in Newcastle last week. For this one, I’m backing the PDC newcomer Durrant. 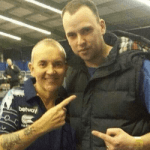 For ‘Duzza’ it’s been a life-changing 6-8 weeks, In early January, Durrant clinched his third consecutive BDO World Championship title, then just days later, Durrant went on to win his PDC tour card in Wigan. Over the weekend, ‘Duzza’ reached the final of PDC Players Championship two in Wigan as he narrowly lost out to Dave Chisnall (8-7) in a great final in just Durrant’s second event as a PDC professional. In terms of picking a winner, the pair are inseperable according to the bookmakers with a price of 11/8 for either player to emerge victorious. On current form, I’d certainly have a punt on a Glen Durrant win especially with the crowd in Glasgow firmly in the Teessider’s corner. If you like a punt on enhanced trebles, then the ‘King of the Oche’ special with Sky Bet could be for you, odds of 5/1 are avaliable for either player to win the match, hit the most 180’s and have the highest checkout in the match. I fully expect Michael Smith to kick off the action in Glasgow with a victory over Peter Wright. ‘Bully Boy’ emerged victorious in his last two Premier League meetings with the World no.3. Gerwyn Price produced a remarkable performance to see off Daryl Gurney last week in Newcastle. Over the weekend, Price continued in the same vain with several averages over 105 in the two PDC Players Championship events in Wigan, and I fully expect Price to see off an out-of-sorts Raymond van Barneveld who can’t find any sort of orm as of late. Glen Durrant will be looking to stamp his authority as a PDC professional as he faces Daryl Gurney on his Premier League debut. Durrant reached his first PDC ranking final in just his second event since joining the PDC ranks, and he’ll definitely fancy his chances against ‘Superchin’, but the former World Grand Prix and reigning Players Championship finals winner will be looking to get his first points on the board.